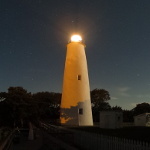 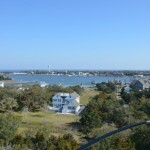 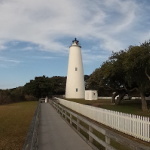 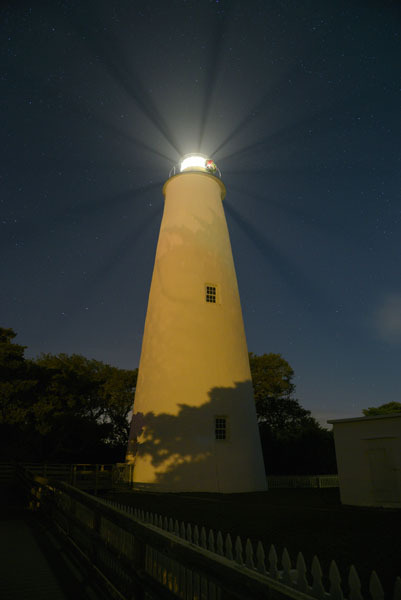 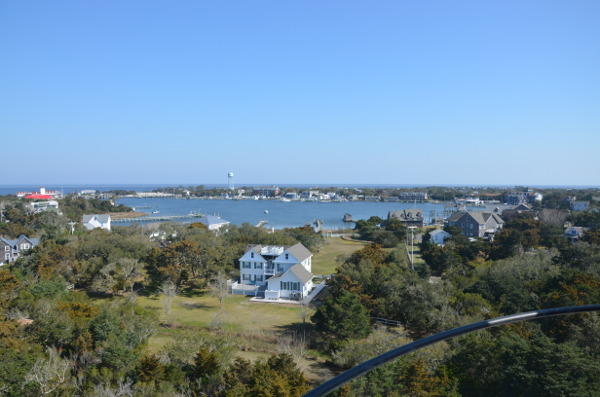 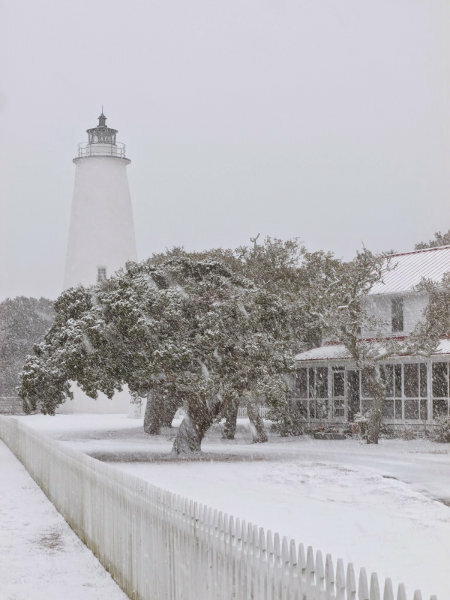 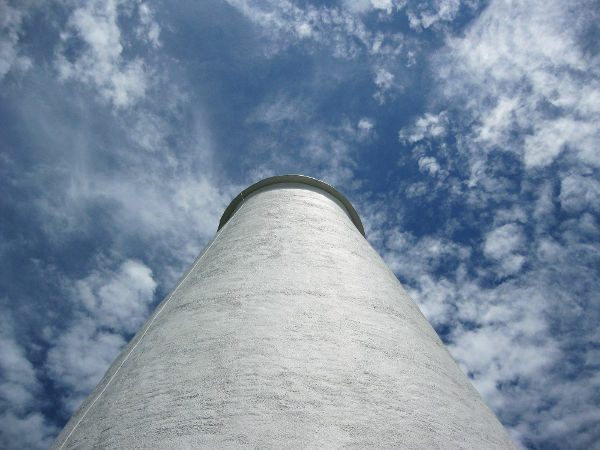 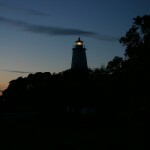 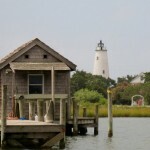 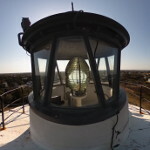 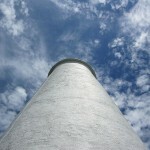 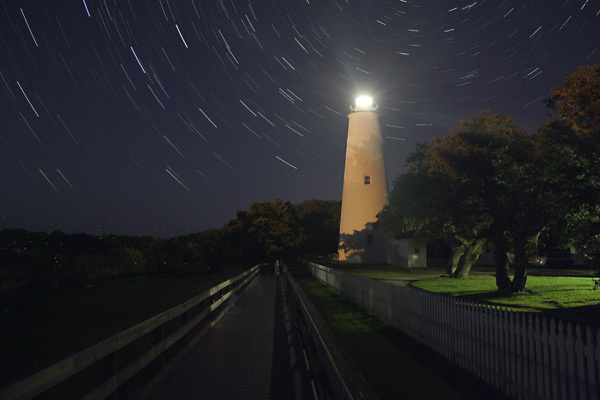 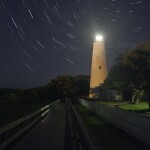 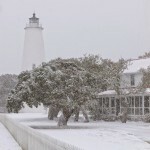 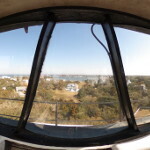 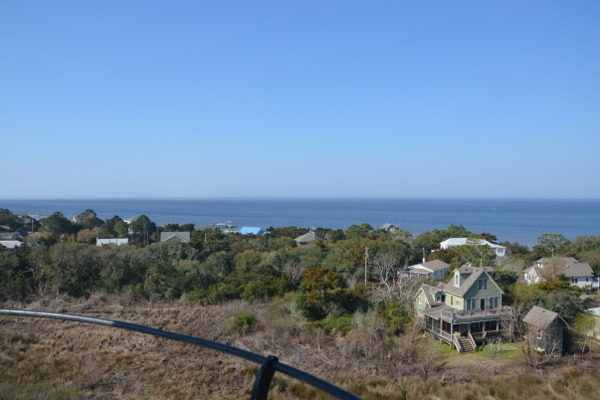 Ocracoke Island’s most prominent landmark is its 75′ tall lighthouse. 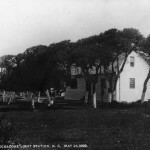 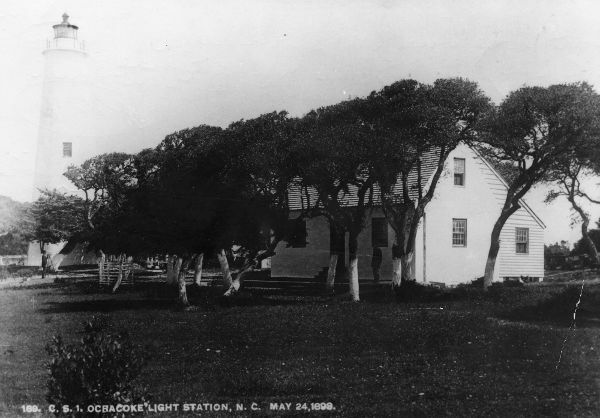 Built in 1823 for $11,359.35 (this included the keeper’s quarters), it is actually the third structure to guide mariners through the often treacherous and ever-shifting channels, shoals, and sandbars of Ocracoke Inlet. 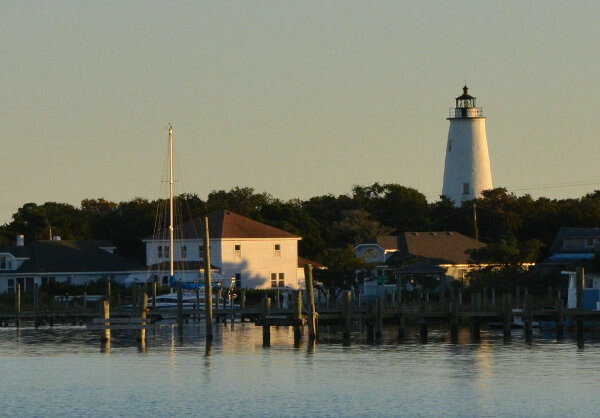 In 1715 the North Carolina colonial assembly passed an act to settle and maintain pilots at Ocracoke Inlet in order to protect shipping interests to and from mainland North Carolina ports. 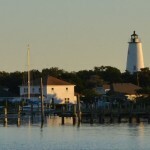 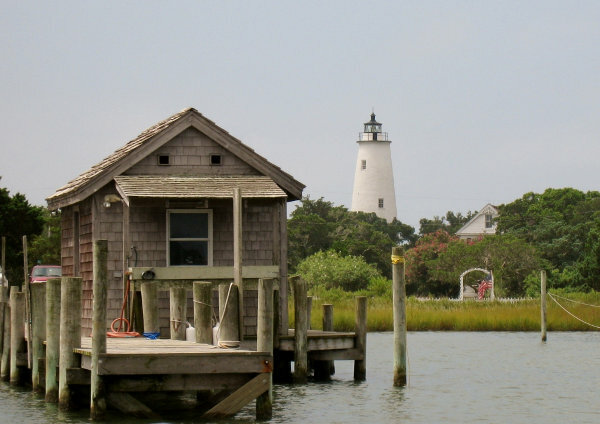 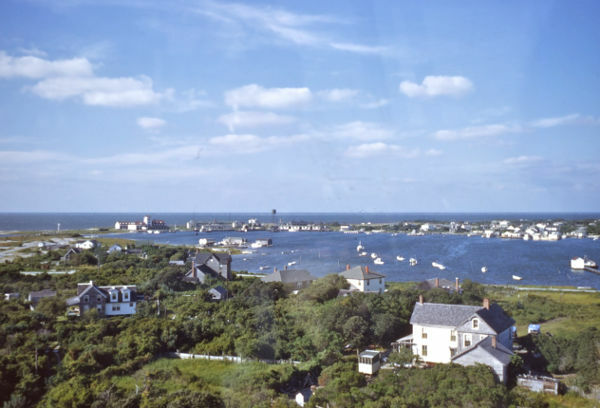 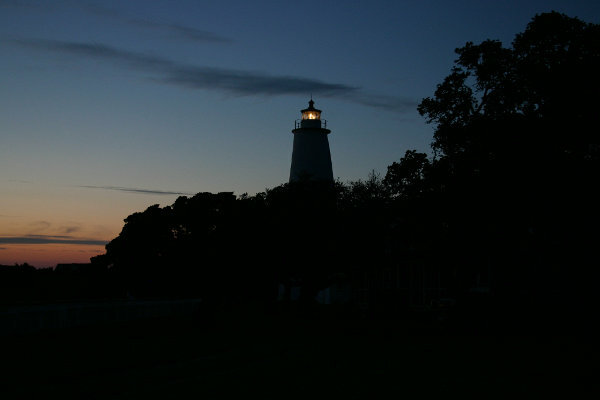 In 1789 the North Carolina General Assembly, recognizing that even more needed to be done to help insure mariners’ safety, passed an act to erect a lighthouse on Ocracoke Island. 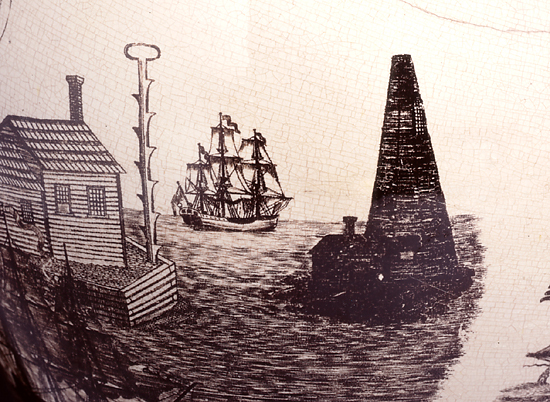 In 1798 the first lighthouse was completed. 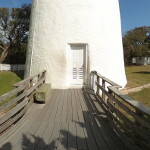 It was a 55′ wooden, pyramid-shaped tower covered with cedar shingles and mounted on a substantial stone foundation. 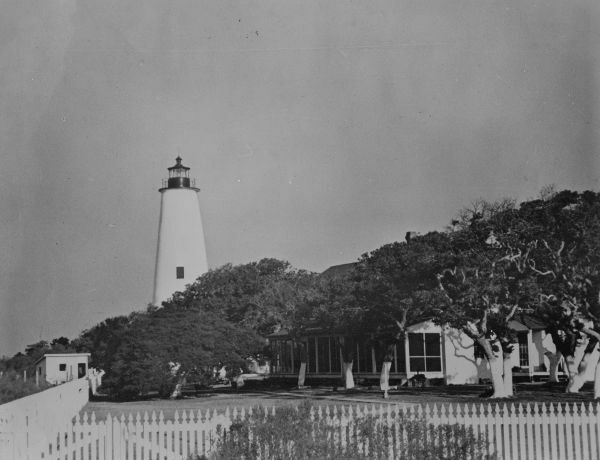 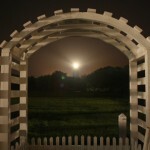 It was topped with a six foot lantern and a three-foot dome. 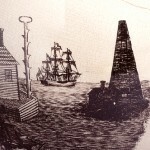 Light was provided by one large whale oil lamp with four wicks. 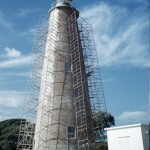 Almost immediately after it was completed, it became ineffective due to the ever-changing channels and shoals. 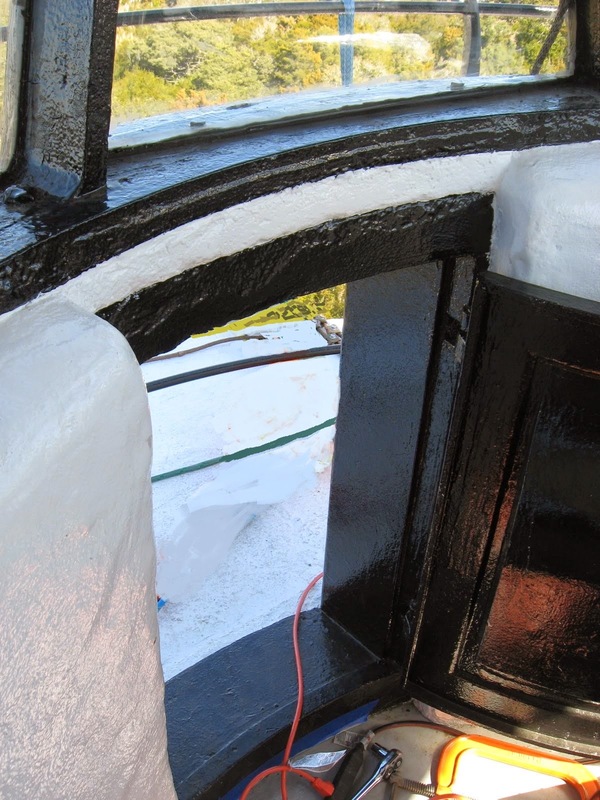 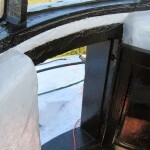 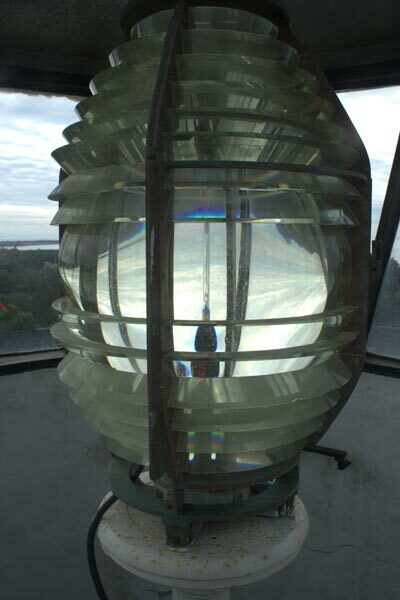 By 1806 the channel had moved so far that the lighthouse was almost totally useless. 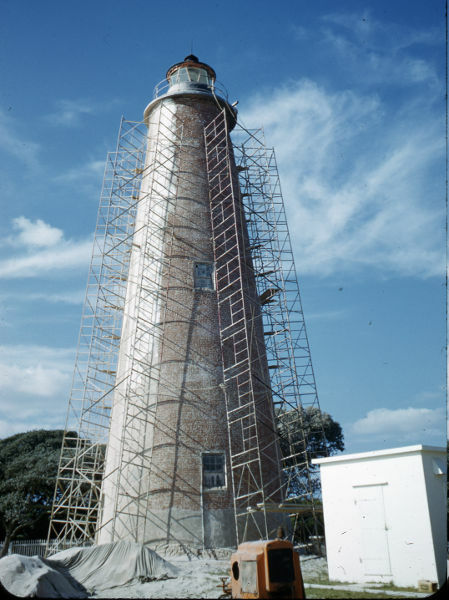 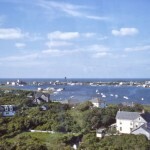 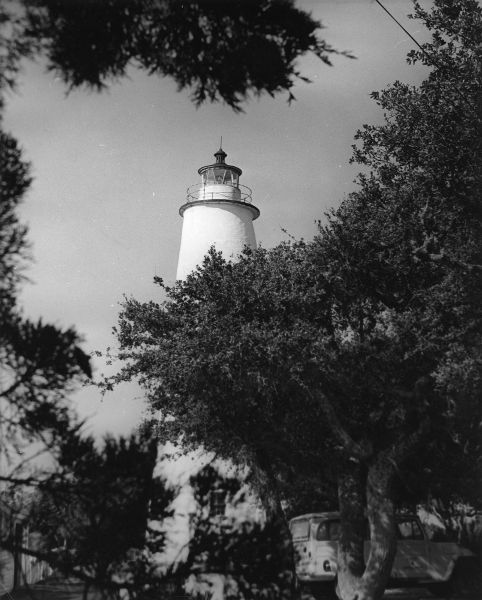 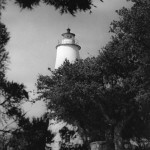 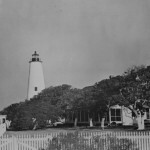 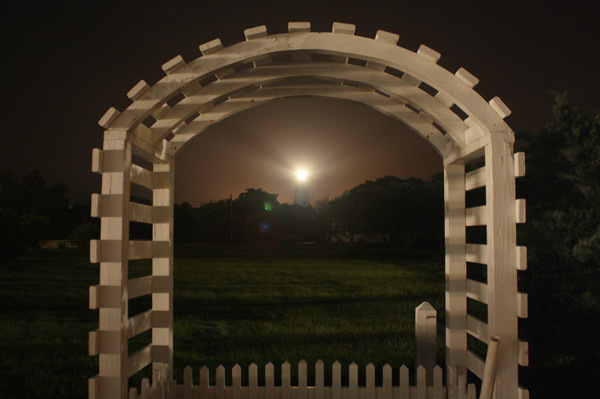 In 1823, $20,000 was approved for the construction of the present Ocracoke lighthouse. 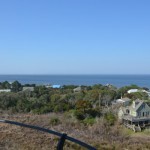 It was built on a 2 acre parcel of land bought by the government for fifty dollars. 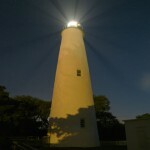 Ocracoke lighthouse stands 75 feet tall and tapers from a diameter of 25 feet at the base to 12 feet at the top. 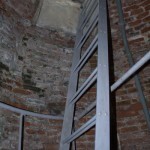 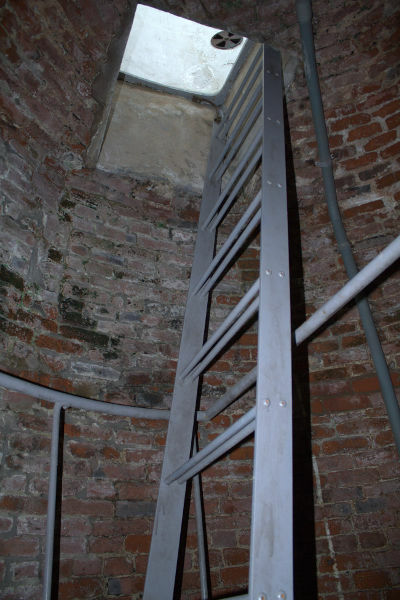 The tower’s solid brick walls are approximately three feet thick at the bottom and two feet thick at the top. 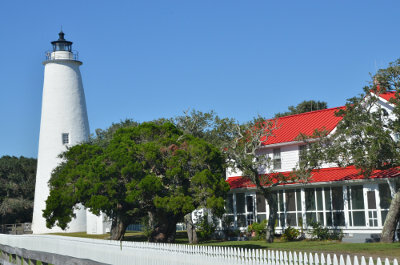 An octagonal lantern housing the light sits atop the historic structure. 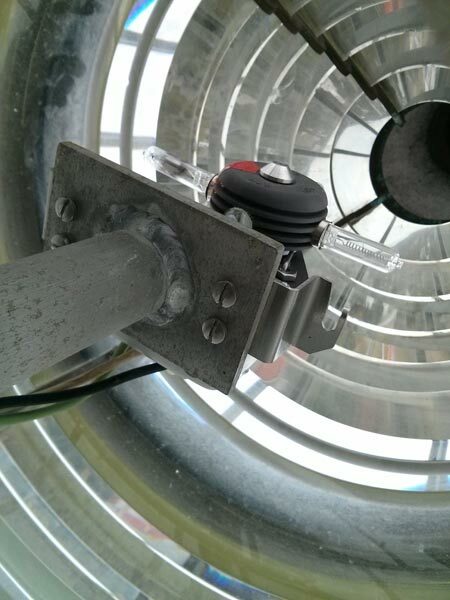 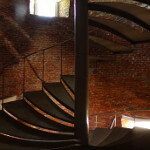 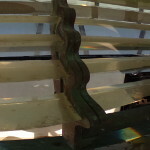 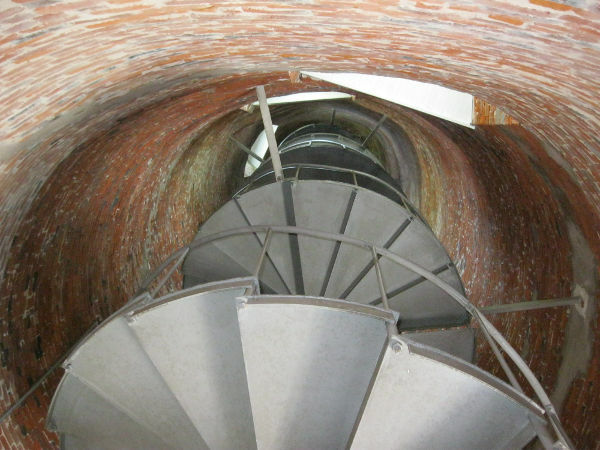 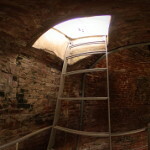 The lighthouse is not open to the public for climbing because of the narrow, nearly vertical ladder that leads to the lantern; the small confined space around the light and lens; and the fragile brick walls and spiral staircase. 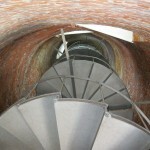 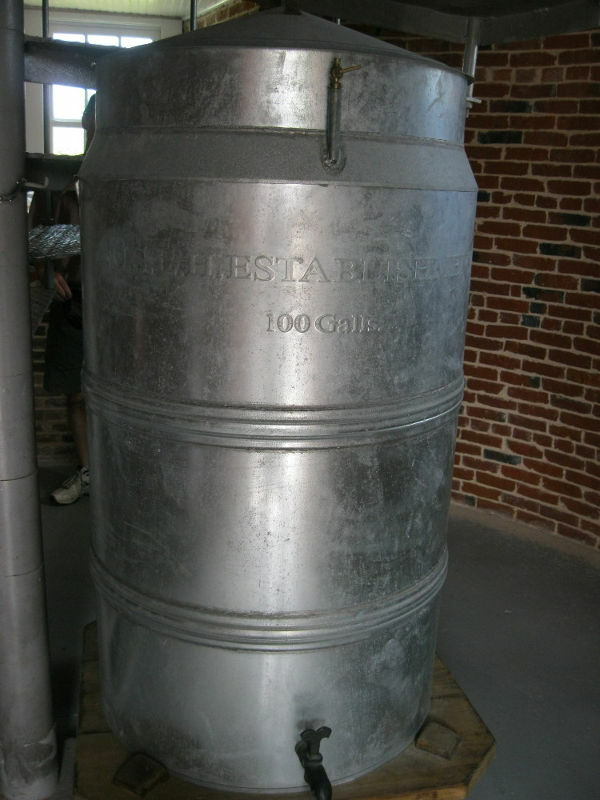 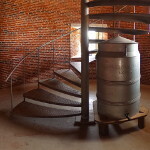 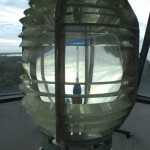 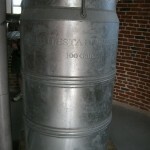 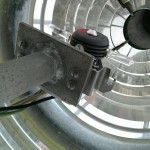 Although it is not open for climbing, the base of the lighthouse is occasionally open for visitors to tour. 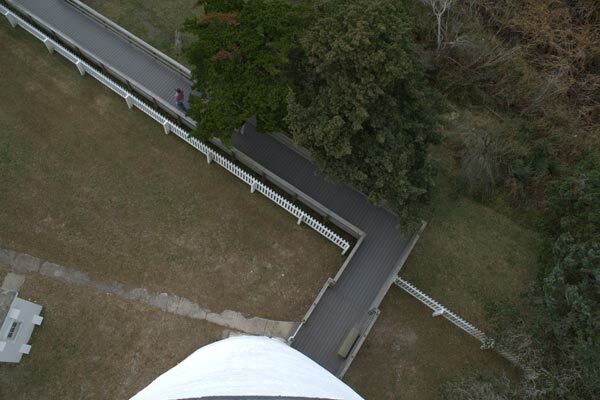 Visitors are encouraged to call the Park Service Visitor Center at (252) 928-4531 for lighthouse hours.